A ship is said to be in proper trim when she floats in the water "on an even keel"—that is, neither down by the bow nor by the stern. A person is said to be "on an even keel" when he is as steady and well-balanced in life and in work as the well-trimmed ship is in the water. A 32-year career in the yachting industry has given me an interesting perspective on this aphorism as it relates to captain and crew positions. Throughout my time at sea, I have been searching for a way to implement and maximize the performance of all crewmembers, creating professionals who are confident, inspired problem-solvers with longevity and who will stay in their positions for a long period of time. The latter is particularly important, for while the yachting industry doesn&apos;t have a serious shortage of professionals at this time, crew turnover is notorious. Having an entire crew where everyone is simultaneously on an even keel is rare. 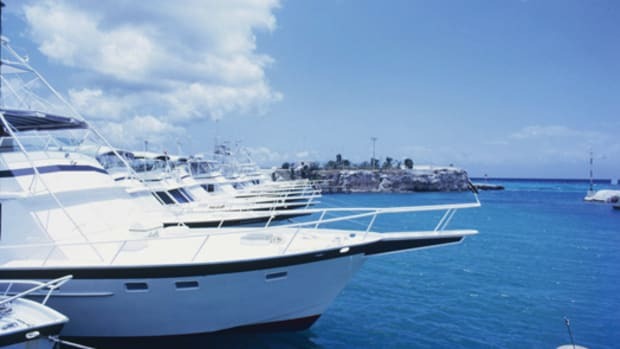 The high level of proficiency needed to maintain a yacht on a daily basis is difficult to achieve. Many yacht owners demand perfection around the clock, creating a stressful situation that can lead to discord and eliminate privacy. On a yacht you can&apos;t "go home" after a tough day at work, and 24-hours-a-day, seven-days-a-week employment combined with small personal living quarters is bad for longevity. 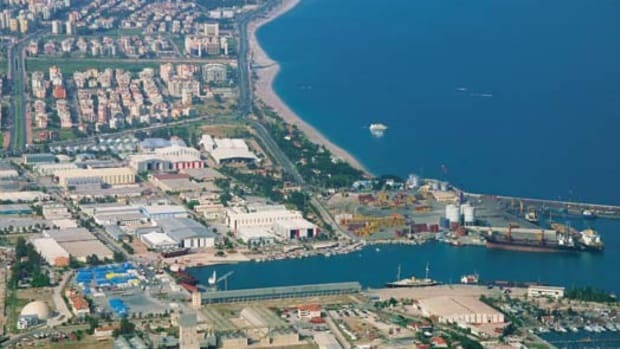 One of the best ways to address such work-life balance issues is job-sharing, a common practice among our counterparts in the commercial-marine industry. 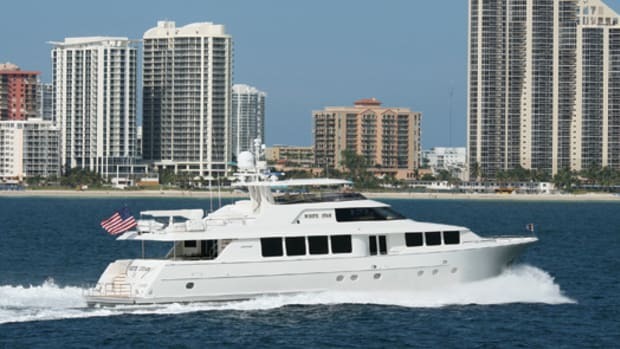 It allows two individuals to share a single full-time position, creating new flexibility and freedom for each and allowing them to achieve a work-life balance that benefits both the vessel and her owner. And there&apos;s the bonus of retaining highly skilled employees. In my experience, the sum of two people&apos;s work in such a situation is often greater than that of their individual labors. 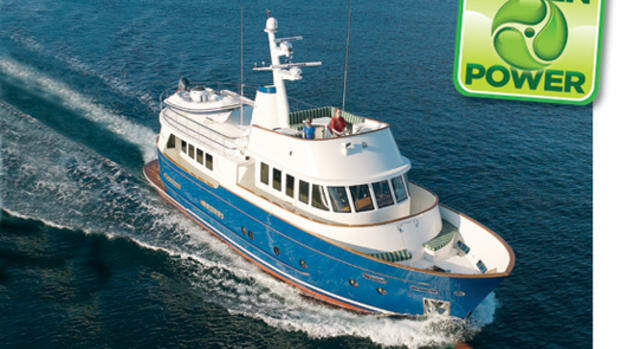 I was part of a two-captain, two-chef job-sharing crew based in the Virgin Islands that completed about 40 charters over two years. One of the chefs had a difference of opinion with one of the captains during a particular charter, creating a situation that had the potential of becoming unprofessional. Due to job-sharing it wasn&apos;t necessary to bring in a new crew member that was unfamiliar with the vessel. We simply flew in the other chef from the States, giving the "unbalanced" team a much-needed cooling-off period. 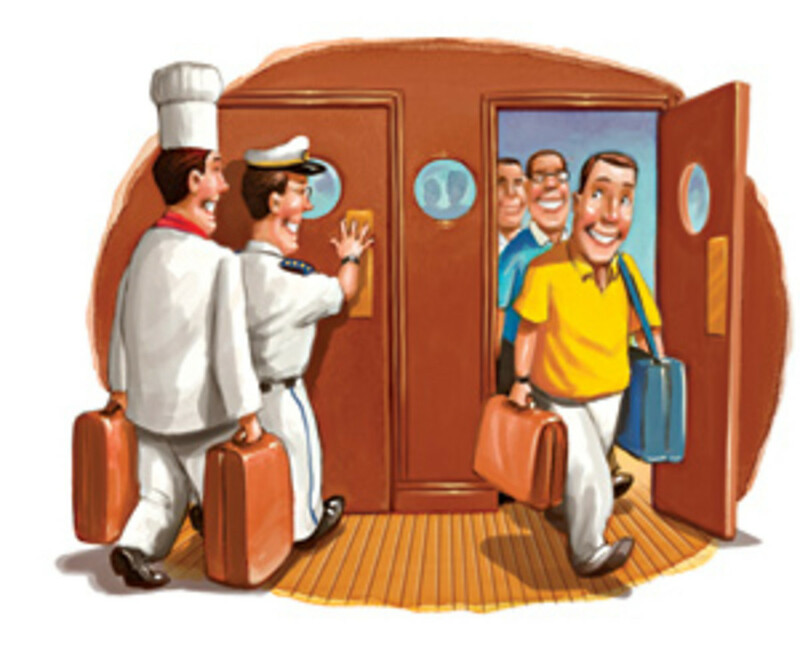 Everyone kept their jobs, continuity in the galley was maintained, and the charter guests were spared any discomfort. Best of all, the captain and chef were able to resolve their difficulties and work together again. 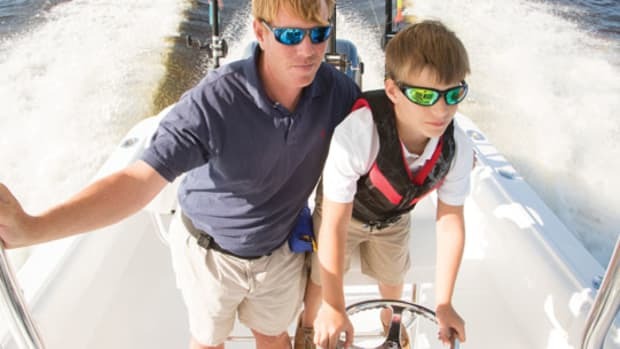 Job-sharing also permits time for vital continuing education, such as classes required for captains&apos; licenses and compliance with regulations, even with the rigors of a full charter season or with owners who visit frequently or even live onboard. Information can be passed freely between two sets of crew for the benefit of the yacht. Facts regarding the vessel&apos;s idiosyncrasies can be shared to increase performance. The owner&apos;s expectations and habits can be discovered by two groups instead of one, so the level of service is less likely to falter. And finally, owners like to see familiar faces, and job-sharing surrounds them with a more stable group. For all these reasons, job-sharing creates loyal and productive employees. Companies don&apos;t offer this arrangement just to be nice guys. In 1995 DuPont surveyed its employees who job-shared. Respondents said they felt more supported, more respected, less stressed, less likely to leave, and more likely to go the extra mile. The megayacht industry needs that kind of employee. Issues such as sick or unhappy family members, job stress, burnout, and personality problems are the typical reasons for quitting or termination, but job-sharing can provide an alternative. The troubled employees can take time off to addresses his or her issues and then return, refreshed and ready to work. Of course, the main question regarding job sharing is how much will it cost. After all, there&apos;s double the paperwork and higher salary, transportation, and benefit costs. 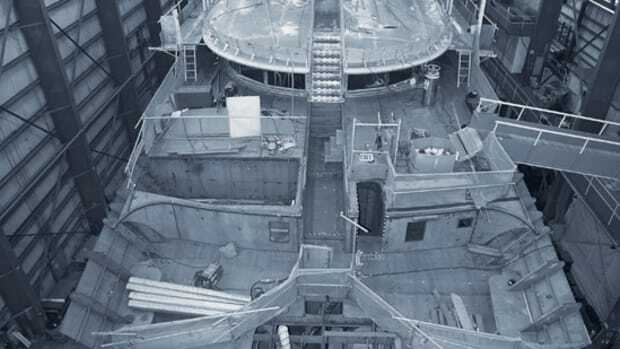 However, you must balance this against the costs of training and hiring replacement crew and loss of continuity that can translate into higher maintenance costs (or outright damage to the vessel) and owner-guest discomfort. In my experience, all crewmembers and captains make mistakes. Many of these are due to a temporary employee acting without sufficient knowledge of the yacht&apos;s idiosyncrasies. These can be costly in time and money. For instance, on one of my vessels, a tender crane had a small hydraulic leak. A temporary crewmember didn&apos;t know about the problem and used the crane when its hydraulic valve was in the off position, blowing the hydraulic seals and spewing hydraulic fluid around the immediate area and into living spaces. The crane was inoperable for weeks. This mistake probably never would happened if the crewmember had been experienced, both with the yacht and the crew. Job-sharing promotes meticulous logs and informative communication among crew. 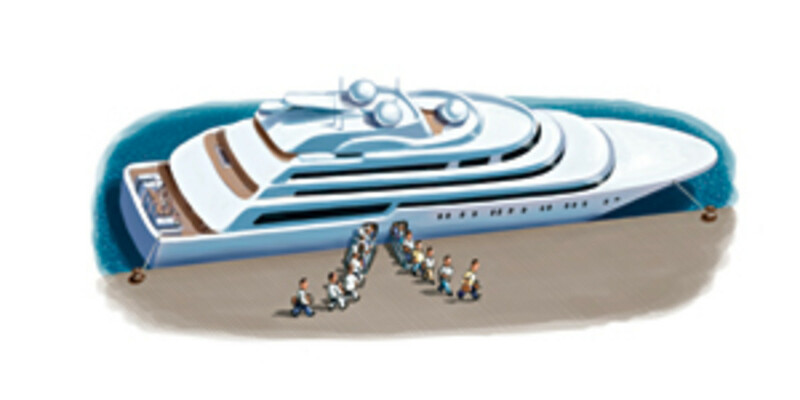 A larger team of people creates its own checks and balance system for the benefit of the vessel. This particular case would have been prevented with a good flow of written and spoken information among team members, but the information slipped through the cracks. Exactly how you would implement job-sharing on your yacht would depend on the number of crewmembers needed to man her in the style that you demand. Generally, I believe owners should rotate all crewmembers to allow everyone to work with everyone else, rather than hire two separate full crews. Job-sharing should be considered an equitable extension of something that is already happening informally among many captains and crewmembers. Captains usually find their own temporary replacements when emergencies arise, for example. Engineers, stewardesses, chefs, and deckhands who have health or life issues normally send one of their friends to fill in for them. Job-sharing provides built-in professional backup for crewmembers in their difficult task of creating a work/ life balance. In turn, it helps to keep all crew "on an even keel" and the yachts that they serve in proper trim. In the end, it&apos;s a process that benefits everyone. Capt. Ted Sputh is a yacht broker and delivery captain.